Interior designer Jean-Philippe Nuel uses curved elements to continue the curve of the façade in the interior. 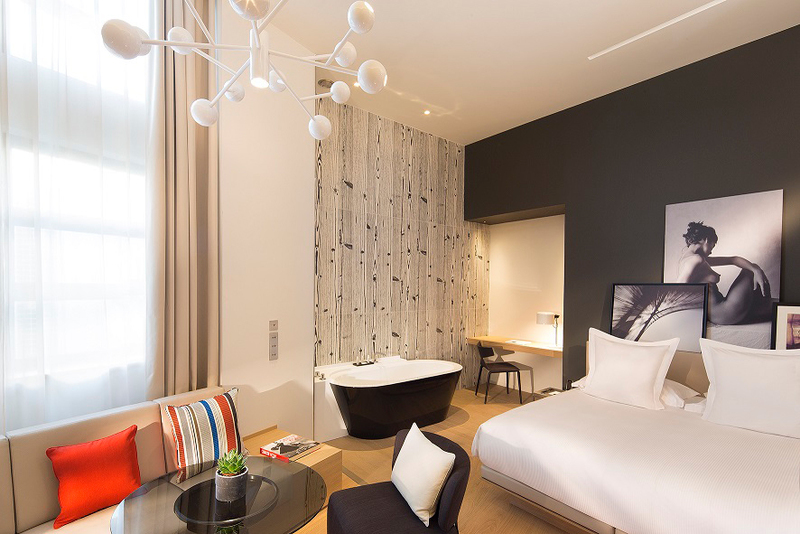 The hotels that bear the signature of interior architect Jean-Philippe Nuel all stand out for the interplay of timeless elegance and contemporary design. This likewise applies to the “Le Cinq Codet” hotel in Paris, which has since the end of 2014 been welcoming guests from all over the world. 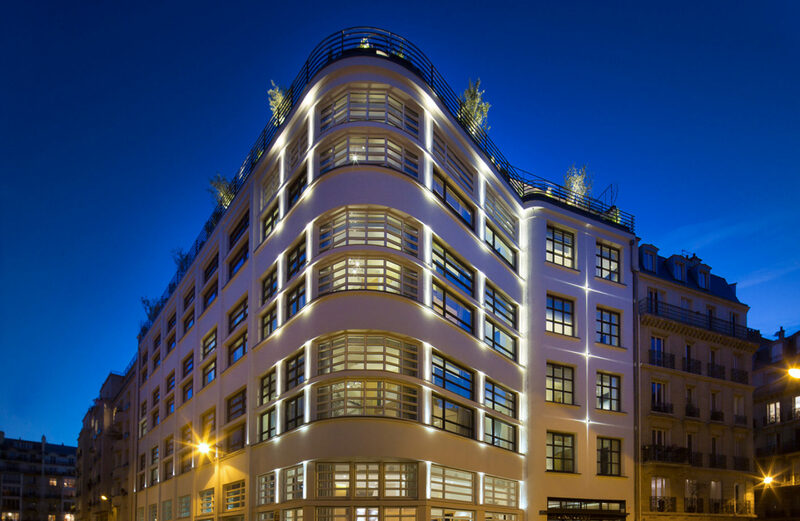 The privately operated five-star hotel is located in a former Telecom France building from the 1930s, for which elaborately modernized for the new function. The characteristic horizontal format of the windows and the semi-circular frontage were retained, however, and to this day define the outside and interior of the hotel. For Jean-Philippe Nuel, who has designed not only a series of high-end hotels both in Paris, but also in Jordan, Morocco and India, Le Cinq Codet was one of his favorite projects. 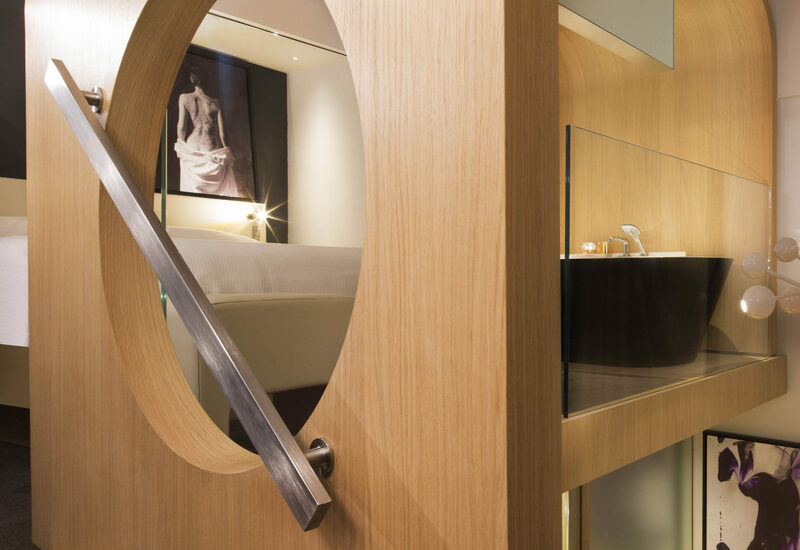 His approach for the hotel was to break with the customary interior fit-out concepts for luxury hotels and above all including the specific location in the design. Le Cinq Codet is this shaped by a sense of the openness for which it was originally built, namely communication. The large floor-to-ceiling windows offer a view of the surrounding sights such as the Cathedrale des Invalides and the Eiffel Tower. 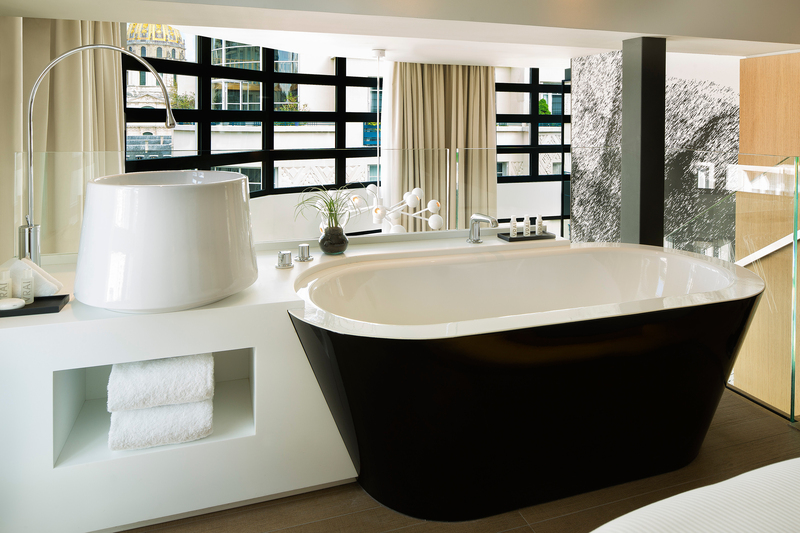 And anyone who wants to enjoy the Parisian skyline can simply opt for the jacuzzi on the roof terrace. 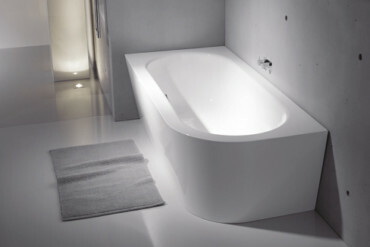 Nuel emulates the curve of the fassade in the rounded design elements and fit-out of the bedrooms. Classic and unobtrusive colors such as white, black and grey combine with selected materials such as bright wood, glass and satin chrome. He worked with various artists on the rooms – they also produced the photo works that gie the rooms and individual and contemporary feel. 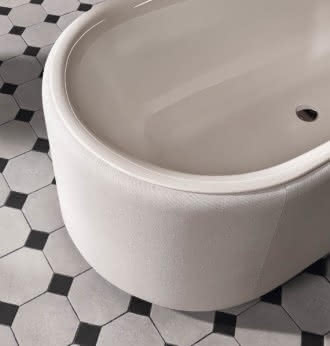 Spaciousness and soft shapes also drive the design of the bathrooms: While the toilet, washbasin and shower are concealed behind a sliding mirrored door, Huel has placed a standalone, conically-shaped tub by Bette in the ensemble – as the main protagonist. 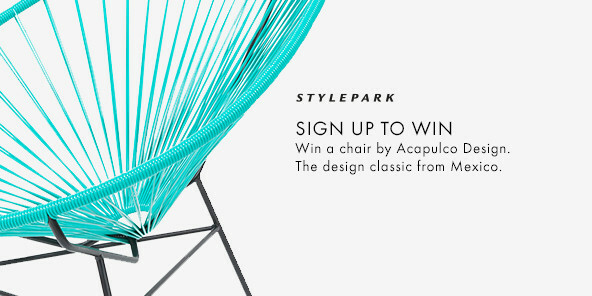 And anyone thus staged can gladly wear the classic Chanel color combination of black and white: The “BetteStarlet Oval Silhouette” model made of glazed titanium steel, especially scratchproof and radiant thanks to the enameled “BetteGlasur” surface, blends attractively and elegantly with the interior. 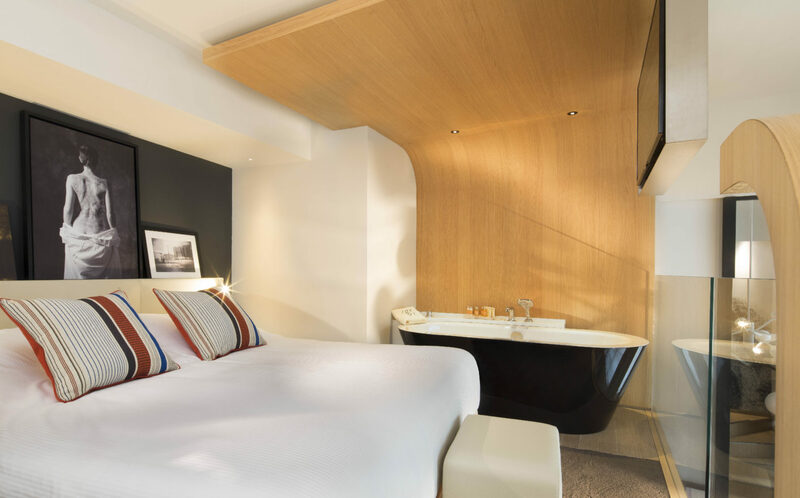 Be it in the standard rooms or the suites with their open mezzanines, you can relax superbly in the tub, while your eye wanders round the room or out the window over the domes of the cathedral. The hotel “Le Cinq Codet” is located in a former Telecom France building dating from the 1930s. 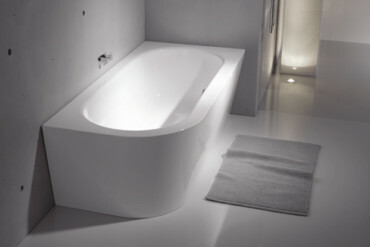 For naturists: The freestanding bathtub “BetteStarlet Oval Silhouette” next to the bed becomes part of the living area. 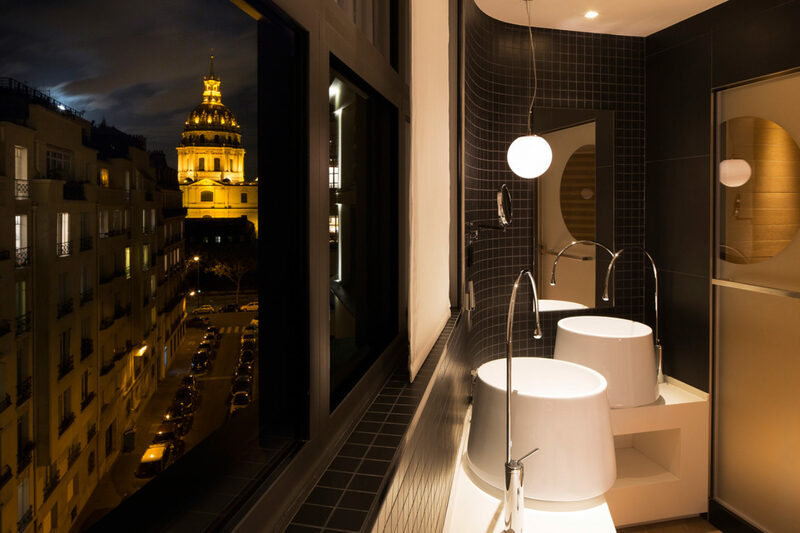 Thanks to the large windows, the tub affords panorama views all the way to the Dome des Invalides. 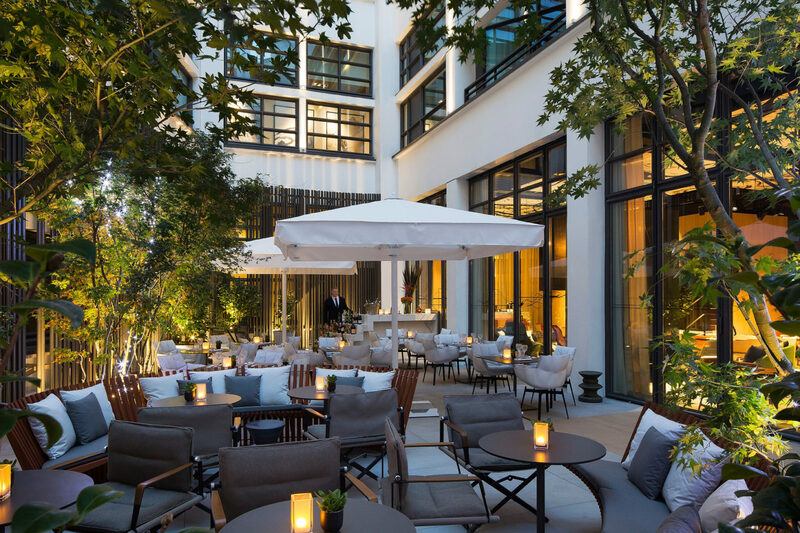 Refreshing oasis: The restaurant in the inner courtyard is also open to guests not staying at the hotel. Bonne nuit: All rooms at the “Le Cinq Codet” afford a superb view of the surroundings – even the bathrooms. 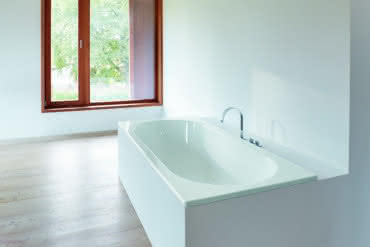 The guestrooms all have very different layouts and designs, but the bathtub always plays a leading role in the room.